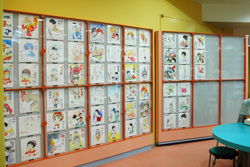 Signature boards of famous manga artists close friends of Ishinomori are on display here. 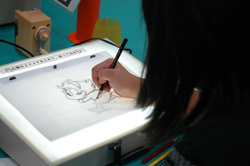 Your own drawings will become an anime! 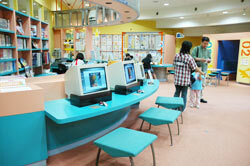 ‘Manga Astrology’ will read your future!? Enter your birthdate and give it a try. 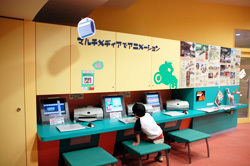 In the archives corner, visitors can watch Blu-Rays and DVDs. 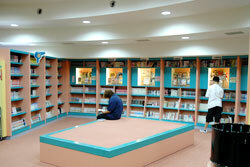 Enjoy over 6,000 manga comic books. Enjoy the splendid view of Mt. Hiyori above and the Kitakami River below. Further out lies the Pacific Ocean. 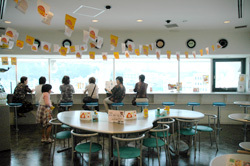 The name of this cafe was taken from a short science fiction piece by Ishinomori.